We have spent our winters mostly doing chores. 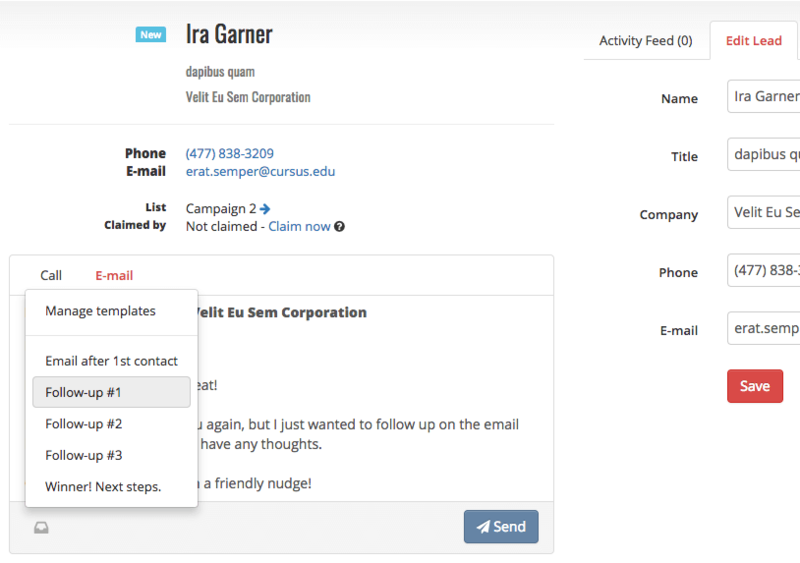 However, we have also managed to create some new features that we’ve wanted to build for a long time – email templates. After calls, immediately sending calls are a great way to follow up what has been discussed. Being able to use information that is still fresh in your prospect’s mind and elaborating on the topics that interested them the most means that you can take your relationship to the next level. We have also updated the existing functionality, including prioritisation new leads at the top of the queue, resetting follow ups, filtering by claimee when migrating, adding segment filters on categories as well as a brand new Zapier app in beta. Sending emails from myphoner is easy. All you have to do is select a template from the predefined set of emails and myphoner mergers the relevant contact information from your lead. So, you create and send emails from the same place that you have saved comments about each lead. You can also choose the outcome of a call and select the time that you want to follow up. You can edit content of the email before you send it. All in all, myphoner makes sending emails an easy and natural part of your workflow – whether you’re cold calling or following up on a lead. 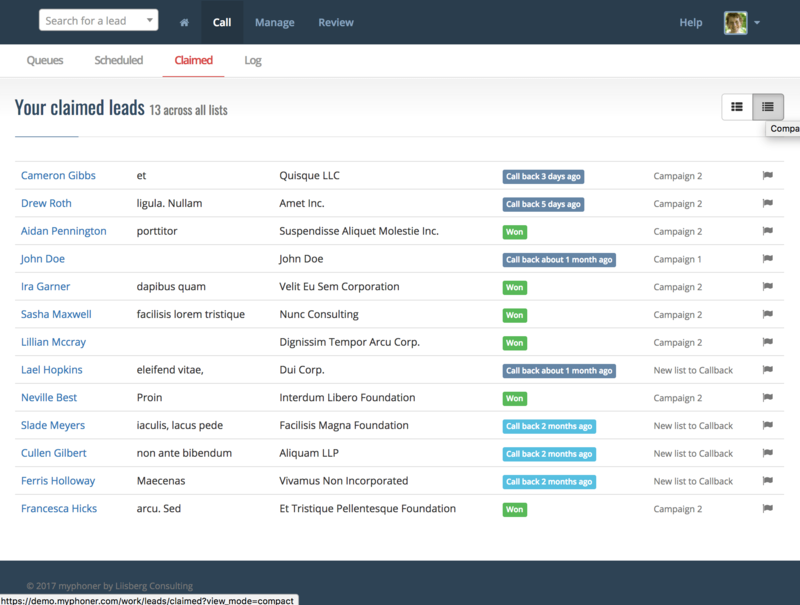 We’ve been asked if we could make the view more compact when looking at a list of leads, calls logs or the queue. Therefore, we’ve created the “Compact View” button, that sits at the top right corner when viewing a list of leads. This “Compact View” will know only the primary identifiers and lead status, including follow up and remarks, such as locked or claimed. To view the latest activity, you’ll still need to use the good ol’ normal view. As part of the ongoing improvements and help for customers who have asked for tweaks and refinements, we’ve added some options to the migration feature, such as the ability to reset the follow up settings of all leads in a migration and filter a migration on leads claimed by a specific agent. Additionally, we’ve also added the option to filter segments based on category (sub-state) of leads and an option to prioritise leads in the queue. The latter is very useful if you collect your leads through online campaigns and add them through Zapier (of the API), so you would want to call these new leads as soon as possible. In November, we launched a new API – we have been working on a new Zapier app based on that API. The app is still in beta. So, it is hidden from the app directory but you can unlock and begin using it today by following this link.